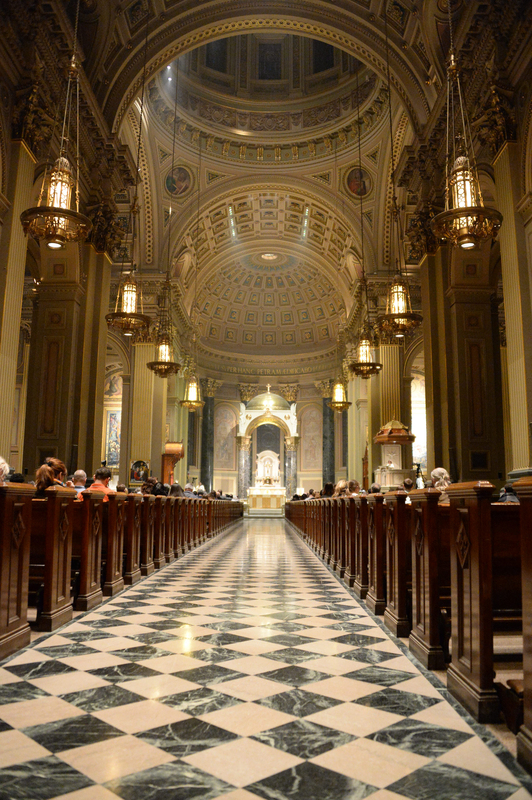 Archbishop Charles Chaput celebrated the Holy Thursday Mass at the Cathedral Basilica of SS. Peter and Paul on the evening of April 2. Holy Thursday commemorates the Last Supper of Jesus Christ with His apostles before His Crucifixion on Good Friday and His rising from the dead on Easter Sunday. Continuing the 2,000 year-old tradition, Chaput washes the feet of 12 seminarians from St. Charles Borromeo Seminary. On Easter Sunday, the Cathedral Basilica of SS. Peter and Paul will hold Masses at 8 A.M. and 9 A.M., a Mass in Spanish at 10 A.M. in the Cathedral Chapel, the Solemn Mass at 11 A.M. and a Mass in English with Archbishop Charles Chaput at 12:30 P.M. in the Basilica. For other events at Cathedral Basilica of SS. Peter and Paul during Easter weekend, visit its website.